To understand the importance of accreditation, you have to understand the different types of accreditations and the purposes they serve. Health and fitness professionals typically pursue programs that fall into one of two categories of accreditation. Ensures your educational program meets defined standards of excellence for best practice in education. Ensures your certification program meets defined standards of excellence for best practice in determining if you meet requirements to perform a specific job. Accreditation standards for education programs are different than those used for accreditation of certification programs. Accreditation of education programs is focused on quality instruction, institutional structure, and whether students completing the program or degree have learned a defined body of knowledge. Accreditation of certification programs is focused on the quality, validity and reliability of the program, its competency-based assessments, and its ability to differentiate individuals who are qualified to practice in a given profession. Why are they both important? Earning a degree from an accredited education program provides verification that you learned something from a quality institution. Earning an accredited certification provides verification that you have met the criteria to work as a professional. In keeping with standards of practice among other healthcare professionals, ACE has received accreditation for all four of its primary certification programs. The ACE Personal Trainer, Group Fitness Instructor, Health Coach, and Medical Exercise Specialist Certification programs all hold accreditation by the National Commission for Certifying Agencies (NCCA). Be wary! There are more than 100 providers offering certification programs that are not accredited at all. It’s a list that contains respectable organizations, fly-by-night operators, and providers of overnight “credentials” that do little to prepare you for a career. ACE and several other leading health and fitness certification organizations stand behind accreditation by the NCCA, an independent accrediting body that also evaluates programs for other health professionals like registered dietitians, nurse practitioners, medical assistants and occupational therapists. Meeting standards of excellence already recognized in the medical community is the straightest path toward recognition by healthcare providers as part of the healthcare continuum, and ultimately, more opportunities to serve people who need our help. For the doors to really open for health and fitness professionals to help significantly more people in close proximity to the healthcare system, the credentials of exercise professionals will be subject to exponentially more scrutiny than they are today. The lack of trust in fitness credentials from non-accredited programs has even prompted some state governments to take action on their own. NCCA accreditation represents the best opportunity for our profession to show we have credentials that are ironclad verifiable, and representative of a standard of excellence already recognized by healthcare providers and state agencies that license and regulate those healthcare professions. The world in which fitness professionals, and health and wellness experts work is rapidly changing. Personal trainers, group fitness instructors and other credentialed exercise professionals can still be found in fitness clubs. But opportunities are also emerging in all sorts of other places—workplaces, wellness centers and health clinics, schools, churches, community centers and more. In those places, credentials are falling under significantly increased scrutiny. Holding a certification that has earned NCCA accreditation can ensure the professionals who work in all of those settings have the knowledge, skills and competence to lead people safely and effectively. The healthcare system has really begun to search for ways to make prevention a fundamental part of healthcare. Experts increasingly agree a key to successful prevention is high-quality physical activity programming delivered in communities as part of the healthcare system and an extension of the doctor’s office. Exercise professionals are the most qualified practitioners to deliver those services. In order to be recognized as deliverers of those programs, exercise professionals must meet the standard of other healthcare professionals. In healthcare and other professions, that standard is NCCA accreditation. 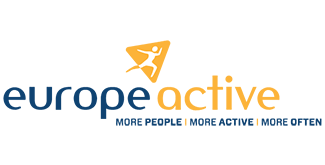 The nation’s most respected thinkers in health and fitness agree that NCCA accreditation is the gold standard when it comes to accreditation of programs that certify professionals working in healthcare, fitness, wellness and other occupations. When you’re searching for certification programs, make sure you always look for the NCCA-accredited program seal. The U.S. Registry of Exercise Professionals is an online registry at USreps.org where consumers and employers can identify professionals in the United States who hold current, NCCA-accredited exercise certifications. People can also use the registry to identify highly qualified exercise professionals in their area who can provide the leadership and expertise they need to reach their health, fitness or performance goals. The six organizations behind Coalition for the Registration of Exercise Professionals (CREP) and USREPS—ACE and five competing certification providers that also offer NCCA-accredited certifications—are putting serious resources into advocating on behalf of the exercise professional and ensuring that employers and consumers in the United States verify credentials on the registry before making a hire. If you opt for a certification that’s not NCCA accredited, you will not benefit from CREP’s advocacy efforts or inclusion on USREPS. That could mean fewer opportunities to do amazing, lucrative work in a field that you love. Just as the NCCA sets standards for certification programs in the United States, EuropeActive (formerly the European Health and Fitness Association) sets standards throughout Europe. Using a standards council comprised of industry experts, employers, academics and practitioners from across Europe, the nonprofit promotes best practices at 48,000 facilities. In 2012, ACE became the first U.S. certification provider to earn approval by EuropeActive. The designation means ACE Certified Personal Trainers and Group Fitness Instructors are eligible to join the European Register of Exercise Professionals (EREPS), the principle resource for hiring qualified health and fitness professionals in Europe.